The Intelligent Technologies for Wellness and Independent Living Lab at the University of Waterloo brings together state-of-the-art computer science, engineering, rehabilitation science, and human factors methodologies to create internationally renowned intelligent assistive technologies for supporting aging and promoting independence and quality of life for older adults. Our research centres around the transdisciplinary execution of user-centred design practices to create innovative, usable, and useful solutions to large, complex problems. Our goal is to create innovative, accessible technologies that simultaneously enrich the experience of aging as well as society’s perception of aging. Apr. 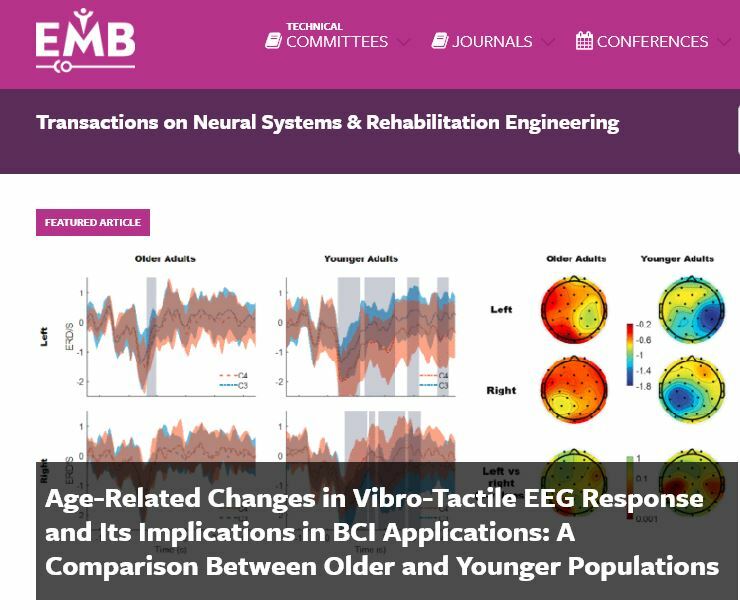 25, 2019Our 'Age-related changes impact on BCI' paper the featured article in IEEE TNSRE! Delighted that our paper on is the featured article of IEEE TNSRE's current issue! Apr. 16, 2019Winners of RESNA Student Scientific Paper Competition! Ahmed Malik and Jing Wei are winners of the RESNA Student Scientific Paper Competition! Ahmed's paper on "Detection of Ballistocardiogram-based Heartrate for Different Activities Captured Using a Prototype Portable Seat Cushion" won first place and Jing's "Exploring the Role of Wrist Temperature in Sleep Monitoring: Findings from Case Studies" was a runner-up. Mar. 5, 2019We are winners at the 3MT competition! 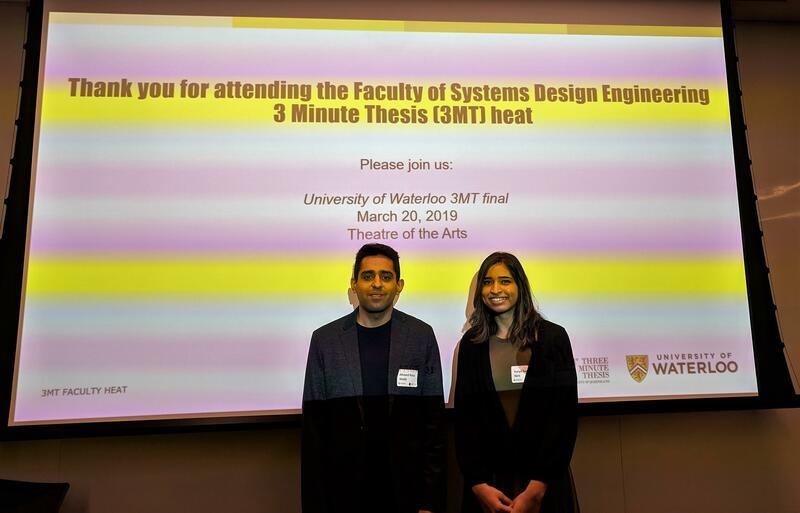 ITWIL's Ahmed Malik and Surya Neti won second and third place respectively at this year’s 3 Minute Thesis competition in Systems Design Engineering!